Rachel Gordon, the owner and operator of The Mindful Marmot, got her start in the outdoors growing up in Denver, Colorado. Being surrounded by mountains during her childhood, they have always been a part of her life. Later moving to southern California, she fell in love with the ocean; where surfing and yoga became her main activities. Rachel went to Costa Rica to get her Yoga Alliance Teaching Certification to translate her passion for yoga into something that can benefit others. In 2015, Rachel came to Seward and found that her two loves, the mountains and the ocean, were right in her backyard. 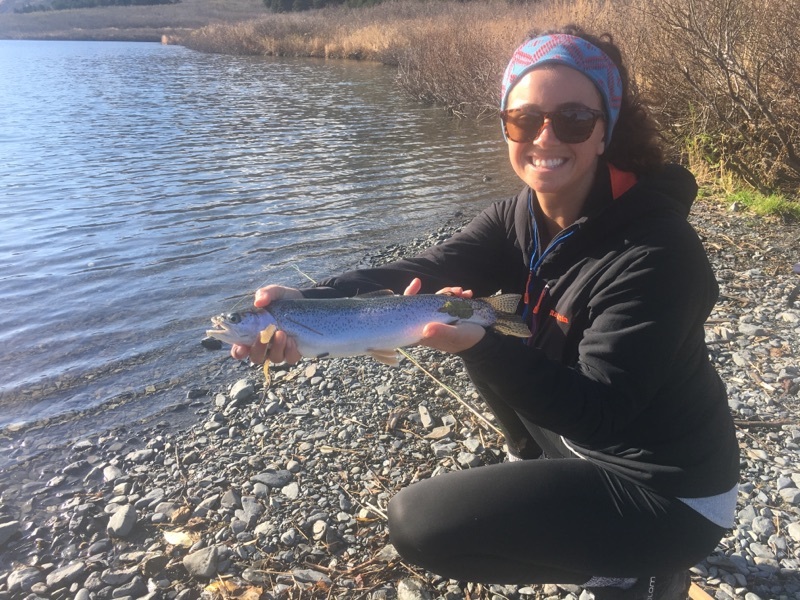 Finding Seward to be a magical place with its amazing community, and all the outdoor activities it has to offer, Rachel decided to make Seward her home. Rachel spends most of her free time hiking, paddle boarding, fishing, and surfing when we are lucky enough to have waves.